There is an investigation going on at this zoo in regards to so many animals dieing in such a short period of time. As of now, they still haven't given those finding out. You can read the other articles on this blog about Hank. Hundreds cried and shared memories Saturday as they remembered the Chattanooga Zoo's most popular resident: Hank the chimp. A memorial was held in the zoo's education room. 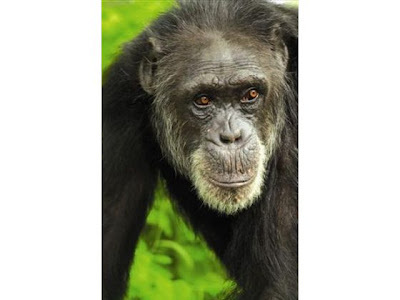 The chimpanzee died about two weeks ago, at the age of 42. Hank joined the zoo in 1976. Visitors described him as a family friend and the zoo's main attraction. They also laughed as they talked about how Hank kissed onlookers as the looked at him through glass. An African dance group also honored Hank. "Today has been such a celebration," said zoo director Darde Long. "I know that his place right now, wherever it might be, is like Africa." The Zoo's board chairman says they're raising money to build a Hank statue. All visitors enjoyed the park for free, as well. Many NewsChannel 9 viewers sent in their pictures of Hank. You can relive the memories by clicking HERE.